AMRITSAR: Bibi Jagir Kaur was elected as the 39th president of Sikh's mini parliament - Shiromani Gurdwara Parbandhak Committee (SGPC) in a general house meeting of SGPC held at Teja Singh Samundari Hall on Thursday. Her selection was done amidst protests from the Panthic Morcha, SGPC members elected under the banner of Haryana Gurdwara Parbandhak Committee and SAD (Amritsar) activists. Gurpal Singh Gora, Kewal Singh Badal and Sukhdev Singh Bhaur were respectively elected as senior vice president, junior vice-president and general secretary of the committee. Eleven executive members were also elected. Senior Akali leader and former chief honorary secretary of the SGPC Manjit Singh Calcutta didn't get any berth in the new structure of SGPC. Earlier the name of Jagir Kaur for the presidentship was proposed by Sukhdev Singh Bhaur and seconded by Harsurinder Singh Gill and Mohinder Singh Romana. Thirty-two SGPC members including seven of Haryana committee staged symbolic walk out after her name was announced as president of the committee alleging that they wouldn't support a 'kurimar' (killer of one's own daughter). But the protesting members returned immediately to attend the further proceedings of the house. SAD (A) activists led by party's general secretary Ram Singh holding placards staged dharna near the meeting venue. They were raising slogans to not let anyone to be the president of committee or attend the house against whom cases were pending in the courts. One hundred and seventy six members out of a total elected 182 members were present in the meeting. Addressing the media persons after being elected as the president of committee Jagir Kaur said that she would look into the alleged irregularities committed in past in the committee and would bring them before the executive committee. About the pending court cases against her in courts including Sikh Gurdwara Judicial Commission, Jagir Kaur defended herself by stating that ifs and buts were always raised against public figures in political and religious fields but what matters was that how effectively these cases were dealt with. 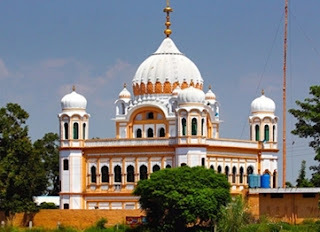 Jagir Kaur, who in her earlier tenure as president of committee had banned sending jathas to Pakistan said that she wouldn't take similar decisions again since they were now demanding corridor from Dera Baba Nanak to Kartarpur Sahib in Pakistan and moreover jathas were going in routine to Pakistan.